Once again, Haiti's Provisional Electoral Council (CEP) has barred Fanmi Lavalas from participation in scheduled Congressional and Senate elections in Haiti. The vote is scheduled to be held on February 28, 2010. Fanmi Lavalas is Haiti's most popular political party. It is the party of President Jean-Bertrand Aristide. Aristide has spent six years in exile in South Africa since the US, France and Canada backed "Coupknapping" of Feb. 29, 2004. In spite of this, the CEP sought his signature on the application presented to the council by Fanmi Lavalas representative Dr. Maryse Narcisse. Such a signature has not been required prior to (boycotted) elections held back in February of this year (2009). Ideally, the CEP sought Aristide's presence in Haiti for the elections, which he graciously declined. See Aristide's letter to the CEP--translated below. For several perspectives on this move by members of the "proxy" René Preval government--read here, here, here and here. The systemic attempt to marginalize Fanmi Lavalas and instituting "constitutional reforms" in order to steal the vote from the poor majority is in full swing. Please take note that in an article on the right-wing Boulos family funded Haiti Democracy Project website titled "Getting Back to a Constitutional Electoral Commission," the [former] president of the Provisional Electoral Council, Frantz Gerard Verret, wrote that "Since Professor Leslie Francois Manigat [defeated 2006, received 12.40% of the vote] left power in 1988... the Republic of Haiti exited constitutional legality and never returned to it." In preparation for the "selection," Preval's party Lespwa is attempting to reinvent their party with a new name. The "new coalition close to President Rene Preval" is now a party called "Unity." Interestingly, the "UN independent human rights expert Michel Forst admitted on Monday that he did not have access to all the files and information relating to the Provisional Election Council (CEP)’s decision to bar Fanmi Lavalas from upcoming elections." Wonder if the CEP will provide this "independent" UN body with this much sought evidence? Unfortunately, the CEP has neglected to mention what the missing "legal requirements" are that are the basis for its exclusion of FL. One can only speculate from what sources close to the CEP have told Reuters. Apparently the CEP is being extraordinarily cautious and "the decision to bar the party was motivated by suspicions that the signature on a faxed letter sent by Aristide, authorizing local representatives to register the party, was falsified." 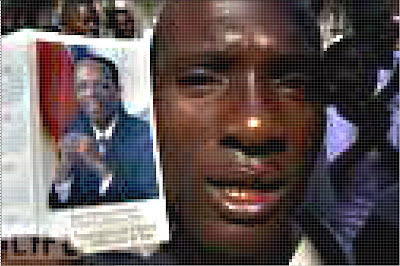 June 21, 2009 — An ominous message by the UN is understood to mean that if Haitians don't vote, there will be more violence and hunger. Ironically, not even MINUSTAH showed a full ballot box with their own election propaganda displayed inside polling sites. The CEP can now be assured of the authenticity of the signature, because President Aristide has confirmed that he has authorized Dr. Narcisse to register the party. "In a rare interview, Aristide confirmed on local Radio Solidarity on Wednesday that he had given authority to Narcisse to register the party, and questioned whether Haitian officials wanted to hold fair and democratic elections. A copy of his letter to the head of the CEP, Gaillot Dorsivil, is posted on the Fanmi Lavalas website, here. Whatever "legal requirements" the CEP can dream up next will most likely be insufficient to persuade any Haitian that they will be conducting democratic, free and fair elections next February. The Haitian populace are sure to have a problem with their exclusionary "selection" of a majority of the seats in the Haitian Senate and Congress. I salute you and thank you for the letter that you wrote to me dated 9 November 2009. I would have been happy to participate in the meeting of 13 November, but unfortunately the notice was too short. The green-light from the Haitian government has not yet arrived here in South Africa; I will come for a future occasion. In the meanwhile, I mandate Dr Maryse Narcisse to represent Fanmi Lavalas before the Provisional Electoral Council. She has the authority to register, for the post of deputy and senator, Fanmi Lavalas candidates who are prepared to participate in elections that are free, honest and democratic. She has the authority to speak with the Provisional Electoral Council in the name of Fanmi Lavalas until I return. Mr Dorsinvil, when you deem it necessary, you can always write to me, as you did in your 9 of November letter. I am happy to salute you again, and I hope that this time, this new Provisional Electoral Council will find the full and complete freedom to organize elections that are free, honest and democratic. Every person is a human being. The vote of every person counts. Haiti the Struggle Continues, a radio program which airs on WBAI 99.5 FM in New York on the Pacifica Radio Network, covered this issue. Listen to the program here. Interview with President Jean-Bertrand Aristide November 25, 2009 on Radio Solidarité in Port-au-Prince. Listen to the hour long program on the Fanmi Lavalas website.